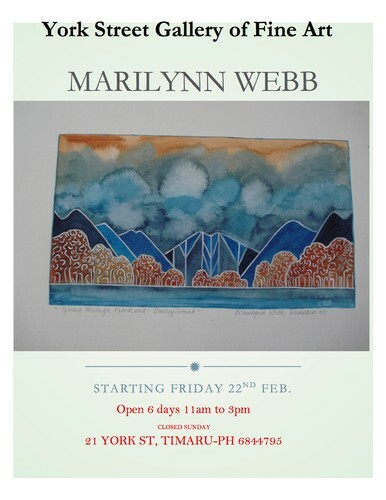 York Street Gallery of fine art is proud to announce a solo exhibition of Marilynn Webb. Marilynn Webb was part of the Tovey Scheme that instigated far reaching change in art education for New Zealand. 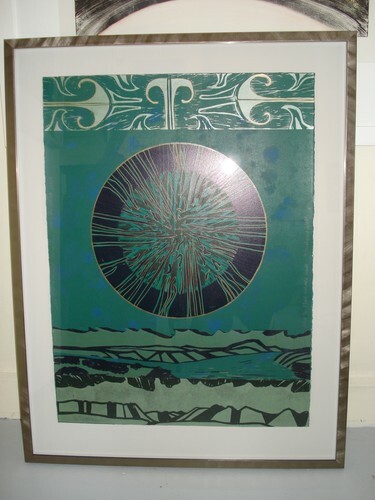 She attended Ardmore Teachers College, Auckland University, and Dunedin College of Education, before joining the Auckland Department of Education as an art advisor to primary, secondary and territory institutions, and working in Auckland, Northland and Fiji. She was involved in major educational projects, such as the Northern Maori Project, the Auckland Central City Literacy and Truancy Centre for parents and children at Napier Street School, as well guiding New Zealand and Pacific art teachers. She also helped rewrite the New Zealand and Fijian art syllabus for schools and she had responsibility for developing the areas of drawing, painting and printmaking. 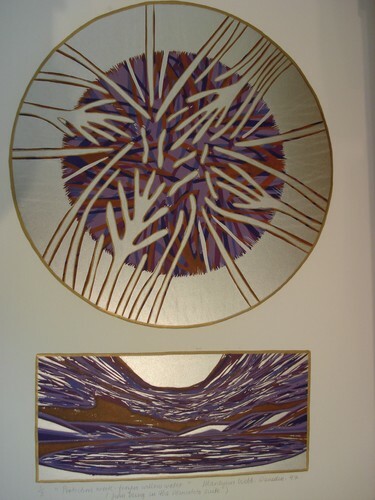 She also worked as an exhibiting artist in tandem with her teaching career. 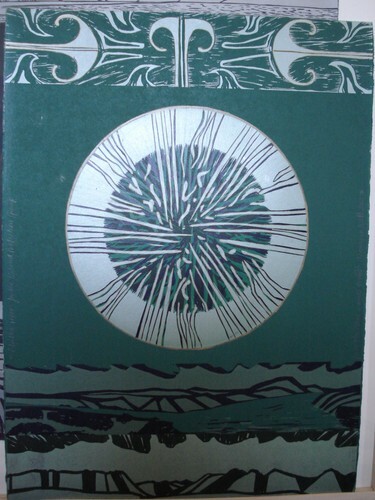 She concentrated on her art practice of printmaking in the 1960s. Her profile as an innovative printmaker became known internationally, and she was selected to show in prestigious Print Biennales in Norway, Japan, India, Italy, Germany, the United Kingdom, The United States of America, France, and the then-named Yugoslavia. She also attended the Post Graduate School of Art Education In Birmingham, UK, while on a QE11 Arts Council Grant to visit the print culture in Yugoslavia. In 1974 she was awarded the Frances Hodgkins Fellow at Otago University, and she decided to stay south. She was commissioned nationally in the 1980's to produce major shows, such as 'Taste Before Eating', where she explored environmental issues in New Zealand in the format of a cookbook. Some of these images were selected to show the Museum of Modern Art of San Francisco. 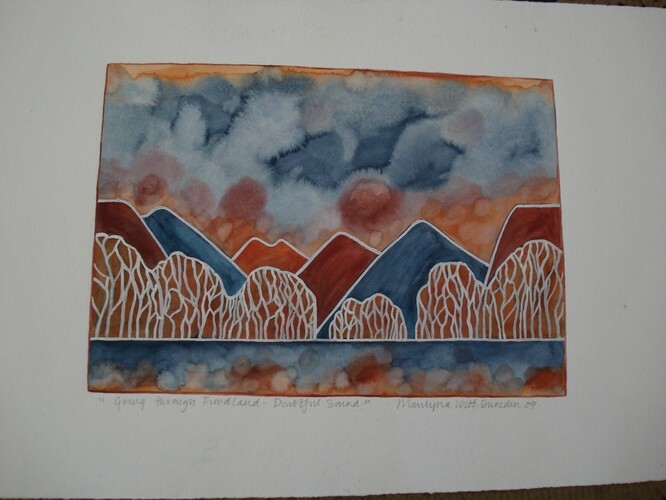 She has received major national and international awards, some of them being the Art Horizon Printmaking at the Otago Polytechnic School of Art in the late 1980s and has taught , most of the well know print artists who have graduated from the school. She has also been involved with the National Education Monitoring Project with New Zealand Ministry of Education, and the Educational Assessment Research Unit of Otago University, as well as regional Environmental groups. Her last students presented for her Master of Fine Arts Degree in April 2010, making the sum of her teaching career 52 years. 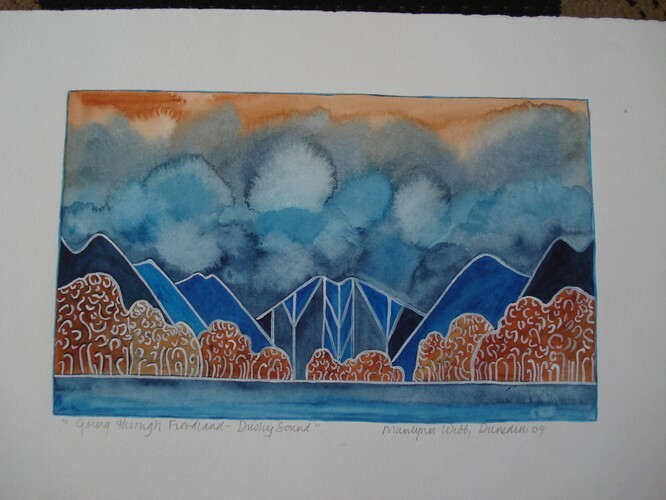 Her art practice is focused on environmental issues, and she has often travelled with the Southern Department of Conservation, and other local, to the remote and fragile areas of Rakiura, and Fiordland, where she currently concentrates some if her work. She was awarded the New Zealand Order of Merit O.N.Z.M. for her contribution to the New Zealand art and art education in 2000, and she also holds the position of Emeritus Principle Lecturer at the Otago Polytechnic School of Art. In May 2010, Marilynn was awarded a Doctor of Laws Honoris Causa, by Otago University in recognition for her contribution to the art and art education in New Zealand.